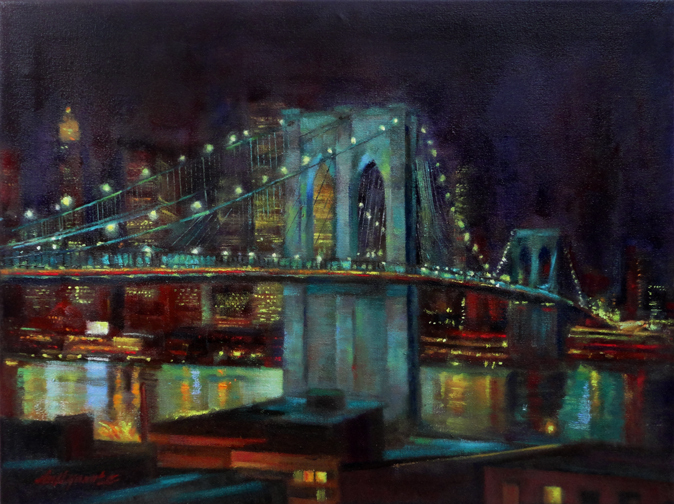 This original oil on stretched canvas painting is a depiction of the iconic Brooklyn Bridge during a late evening in 2014. The piece is painting is luminous colors, including violet, blue-green, red, gold and umber. If interested in purchasing a giclee print of this original piece contact us.